The election for London mayor is a dismal affair. It seems inevitable that either Boris Johnson (Conservative incumbent) or Ken Livingstone (his Labour predecessor) will win, but neither is an attractive candidate, both carry a lot of baggage, and both have run more or less distasteful campaigns combining crude pork-barrel promises and ugly personal vilification each of the other. The Labour Party blundered in allowing Livingstone to run again: many Londoners see him as well past his sell-by date and it’s most unlikely that he can dislodge the vaguely charismatic and amusing Boris. Boris hasn’t turned out to be the catastrophe as mayor that many of us predicted, having averted disaster by doing very little indeed, sounding as vague and lazy about details of policy now as when he first stood for election. A new, youngish (well, 41), attractive, independent candidate is suddenly and belatedly beginning to attract more interest. Siobhan Benita is a former civil servant who has left a quite impressive career to run for mayor of London. Her only backer of any note is Sir Gus (now Lord) O’Donnell, former head of the civil service and cabinet secretary, with whom she worked during her civil service career. She is due to release her manifesto tomorrow; so far the only elements in it that we know about are worthy but unexciting. Nevertheless, such is their widely shared dislike of Messrs Johnson and (especially) Livingstone that already several of my politically savvy friends and family have announced that they intend to give her their first preference votes. The yearning for a fresh face at Greater London’s City Hall is totally understandable, and the general mistrust of professional politicians feeds it. But a first preference vote for Siobhan Benita is not so much a political act as a gesture, which has political consequences that may not be what her supporters intend. It’s virtually inconceivable that she can win, having no party label, no organisation to fund and master-mind her campaign, and no record of having run an enormous and complex institution comparable with London. She has no experience of any kind of elected office. Very few Londoners know anything about her. No-one can tell how she would cope with the huge pressures of the job, managing a multi-million pound budget and having to stand up to extremely powerful vested interests. In truth her candidature is not completely serious, attractive though she is in almost every sense of the word. She may well have a future in UK politics, for which her London mayoral campaign could be a useful preparation, but unless there’s a political earthquake in London of unprecedented magnitude, she’s not going to win. At present Boris Johnson has a significant lead over Livingstone and seems extremely likely to win, despite representing the party of an unpopular, deeply reactionary, incompetent and manifestly failing Conservative-led national government. In this situation, every vote for Siobhan Benita that might otherwise have gone to Labour improves Boris Johnson’s chances. I just hope that those on the liberal-left side of politics who are currently determined to make the essentially futile gesture of voting for Benita will at least give their second preferences to Labour, if only as a penance; but that should salve no consciences, since if Boris Johnson wins an outright majority in the first round, Benita’s second preferences will never be redistributed and those giving her their first preferences will have contributed to a famous and wholly undeserved Tory victory. However flawed, Livingstone is the Labour candidate. He is more concerned about London’s have-nots than Boris, who seemingly couldn’t care less about anything except Boris and his career. A Labour defeat in London will badly damage Labour morale nationally and give a big fillip to Cameron and Osborne, which must be the last thing most of us want. Conversely, if Boris were to be defeated, he would quite likely find his way back into the house of commons and become a threat to Cameron, which could usefully shake up the Tory party and British politics with it. London is a deeply unequal city, with a huge gap between the enormously rich and privileged and the increasingly hard-pressed poor, victims of national Tory policies that place the main burden of deficit and debt reduction on those least able to bear it. A progressive mayor can do a certain amount to protect London’s most vulnerable citizens, including those who commute in and out of London to work. Whatever his failings, Ken Livingstone is much likelier than Johnson to work to reduce poverty and inequality in London. It’s still possible that he could win. But a surge of protest gesture votes for Siobhan Benita could make a Johnson victory virtually certain. If you’re a Londoner, hold your nose if you must, but Vote for Ken with your first (and only) preference on Thursday May the 3rd! Update (10 April): I owe Ms Benita [sic] an apology for misspelling her name throughout the first edition of this post, and in the notification emails. Mea maxima culpa. Second Update (10 April): A friend has commented privately that even for those who on balance, even unenthusiastically, prefer Labour’s Livingstone to the Tories’ Johnson, it can do Livingstone no harm to give a first preference to Siobhan Benita as a gesture of support, so long as the second preference goes to Ken Livingstone if and when Ms Benita is eliminated. My initial reaction was that such a failure to give a first preference vote to Livingstone from the start would risk allowing Johnson to cross the 50%+1 line and win the election before Ms Benita has been eliminated, so that her second preferences, including those for Livingstone, would never be redistributed. However, my unpaid numeracy adviser has persuaded me of the counter-intuitive mathematical fact that if Boris wins enough first, second and if necessary third preferences eventually to win the 50%+1 of the votes to get himself elected, it won’t make any difference whether those who preferred Livingstone have given their first preferences to Siobhan Benita or to Ken Livingstone. The only scenario in which failure to give a first preference vote to Livingstone could damage his chances of beating Boris is the unlikely situation in which Ken is himself in danger of being eliminated before the final round. In that case, a first preference for him could keep him in ahead of someone else (say, the Green), and then he could go on to win it with everyone else’s second preferences. Apart from that, there is no way that you can harm Ken’s chances by putting your favoured candidate (such as Ms Benita) first, so long as you put Ken Livingstone second. Assuming that Ken is not going to be eliminated (except in the last round if Boris then crosses the 50%+1 line to win), then it should make no difference to his chances of being elected whether you put a minority candidate such as Siobhan first, and him second, or whether you give him your first preference. So Labour-inclined voters can reasonably safely vote 1. Benita, 2. Livingstone, if that makes them feel better. That is the electoral arithmetic. The political case against voting 1. Benita, 2. Livingstone is that there is an inherent futility in casting one’s first preference vote, in an election for mayor of London, for a candidate who you know can’t win, and who would be unlikely to be capable of governing London successfully even if she did. To do so would be pure, or impure, gesture politics. It risks deluding oneself that it’s possible to evade the only real choice, namely that between Ken and Boris. Politics is very often a matter of identifying and then accepting the lesser of two evils. As the great Saul Bellow remarked, quoting T S Eliot, ‘Perhaps humankind can’t bear too much reality, but neither can it bear too much unreality, too much abuse of the truth.’ The grown-up thing to do is to decide which of the two candidates with a serious chance of winning is less unsatisfactory than the other, and give him your first and only preference. By all means also send a donation to Ms Benita’s campaign fund, just to encourage her to stick at it and try again for elected office later, even if she persists in pretending that a person who actively practises politics can somehow not be or become a politician. She might even eventually grasp the reality that if she’s going to make a difference, she’ll need to join an existing party — in her case presumably Labour or the Greens — and work to change and reform it from within. It will be a pity if she wastes her talents on being a permanent lone voice. Meanwhile, I can only repeat: Vote 1. Livingstone, and no-one else. It may not taste nice, but you’ll get over it. If you give your first preference to either Livingstone or Johnson, it’s a waste of time to cast your second or other preferences for anyone else, because it’s highly unlikely that either Livingstone or Johnson will be eliminated until the final round — which means that their second, third and lower preferences will never be redistributed. As usual Brian, you make a powerful case based upon an illegitimate premise – namely that your readers give a damn about which hopeless hack from which discredited party machine ends up as Mayor of London (or anywhere else). Your argument that a vote for Ms Benita will only result in letting in Tweedledum when you would prefer Tweedledee is exactly the argument that has, for fifty years and more, saddled us with a clapped-out two-party system that nobody has a chance of challenging. Beyond doubt your commentary is correct in the short-term – but in the long term it is no more than a way of ensuring that nothing in the deeply-unpopular system to which we are tied can ever change. What is required (and will not be achieved today or tomorrow) is a widespread refusal to vote, anywhere or at any time, for discredited politicians of either main party. Then change may become possible. Meanwhile, it seems you are prepared to go on voting with the ultimately doomed dinosaurs – a pity. One of these days that large asteroid will strike: roll on the day. Brian writes: Thank you for this, Robin. But I’m sorry to see you add your eloquent (if not always moderate!) voice to the prevalent chorus of cynics who proclaim themselves unable to distinguish between a party of the left and a party of the right (a sure sign of political illiteracy, and you’re not politically illiterate); who declare that all party politicians are hopeless hacks and political dinosaurs, implying that they are only in it for the money or self-aggrandisement or both, when a moment’s thought reminds you that it’s not so, because most — yes, most — politicians go into politics in the hope of making ordinary people’s lives better, and many of them only stay in politics with the same hopes and intentions; and who complain of our antiquated two-party system when the system has for many years now been accommodating well over three parties of some consequence, obliging that part of the commentariat which is still awake to revise its two-party assumptions. Most of all, I regret your proposal that those many people who share your indiscriminate scorn for politicians, parties and politics should refuse to vote in elections, on the curious basis that a very low turnout in all elections will somehow bust the whole system, allowing some undefined (because indefinable and unavailable) alternative to take its place, by a political process which defies the imagination (an “asteroid”? what on earth or beyond does that mean?). You may plead that you want people to stop voting only for candidates of whom you disapprove: but there will never be general agreement on which politicans to boycott and which to support, and your call for electoral boycotts of old-style or discredited candidates will inevitably be taken as a call on the electorate not to vote at all. This is likely to have dire consequences. Consistently low turnouts simply abandon the system to the zealots and extremists, at both ends of the spectrum but predominantly on the far right. At this very moment we are witnessing the spectacle of centralist political leaders, however flawed, in the United States and France, being seriously challenged by the quasi-fascists of the National Front of Marine Le Pen and the far-right freaks of the Republican Party and its Tea-Party lunatic fringe — in both cases feeding off widespread disillusionment with the conventional moderate parties and with conventional centrist politics. You might try some constructive political activity to encourage reform from the inside, instead of adding your voice to the dangerous, nihilist, valueless attack on the whole idea of politics as the only mechanism by which to support the dispossessed, marginalise the crooks and thieves, diminish gross inequality in the world and in Britain, work to head off the risks of climate change, save the NHS and state education when they are seriously challenged (as now), and generally try to improve the way we govern ourselves. Standing on the sidelines booing at all the players can only damage the chances of achieving any of these things. How long must we wait for your asteroid? I suspect Robin Fairlie shares my regret that there is no way of indicating, when A and B are the only candidates with a hope of being returned, that you are voting for A only because he is not-B rather than because he has any real ability. I fear, though, that failure to vote will never send any message to the political parties; candidates will continue to be elected on the basis of 51% of the votes of less than half the electorate and claim on this basis that they have sweeping popular backing. Tim, thanks. It’s not for me to speculate about what Robin would or wouldn’t regret, but my own impression from his comment above is that he is equally hostile to both the front runners in the London mayoral election and wouldn’t dream of voting for either of them. I guess also that he doesn’t see any difference between them as regards merit or the right to expect our support in the polling booth. Moreover, I think this attitude, summed up in the cliché “A plague on both your houses,” is very widespread to the point where it is becoming a real threat to our parliamentary democracy. Your yearning for an opportunity to explain that you’re voting for one candidate only because you want to keep out another candidate who is even more objectionable is understandable, but — as I’m sure you know — unrealistic. With tens of millions of votes cast at a general election, it’s obviously impossible for every voter to record his or her reasons for voting in any particular way. What everyone who wants to give effect to a delicately nuanced political view can do, however, is to get down into the political pit and join the fight. You can join the political party whose values most closely resemble your own, and campaign to change its policies from within, as well as acquiring a say in the selection of your party’s candidates at election times. You can start and run a blog, write letters to the newspapers, and submit memoranda to Select Committees, Inquiries and other policy-making and opinion-forming bodies. Of course this means getting your hands dirty, signing up to party policies and activities of which you may not wholly approve, and accepting that your proposals will sometimes be rejected. But in our very large democracies, it’s virtually impossible to get anything done without some kind of party organisation behind you, however much the admirers of Ms Benita may regret it. Independents in the house of commons and in local government rarely if ever accomplish anything significant. If you’re an incorrigible purist, incapable of accepting that politics is generally about choosing the lesser of two (or more) evils, with all the deals and compromises that this entails, it’s of course perfectly possible to preserve your political virginity by opting out — “a plague on both or all your houses”. But in doing so you’re leaving the field to others less fastidious than yourself, and you won’t be able to complain if the result is governments which ride roughshod over your rights and fail to protect your interests. As the best of all the commentators, the much missed Alan Watkins, used to say, politics is a rough old game; and as the sign on Harry S Truman’s desk in the White House used to say, If you can’t stand the heat, stay out of the kitchen. (The other sign there said: The buck stops here.) Truman, Roosevelt, John F Kennedy and his brother Bobby, LBJ, Clinton, Obama — all have been prepared to get their hands dirty on occasion, in order to change the world. If Robin Fairlie’s response is the sort you’re going to get from your friends, Brian, Allah only knows what your enemies, political or personal, are liable to say. But back to Siobhan B and the London Mayoralty. I’m someone who does give a damn which of the two main posturing egos is elected. Like many Londoners I remember Ken’s Fares Fair policy of 1980 ( as GLC leader) which, though defeated by tory Bromley council in 1981 (‘we don’t have an underground so why should we pay!’), gave rise to standard flat fares and ultimately to Oyster cards. And look at the success of the bus lanes Ken – again so courageously – expanded. Where would we be without them? In short Ken is a Londoner who cares about London – and natives and long-term residents know this. He wants to be mayor to look after London whatever other political levers the mayoralty might give him. As Brian says, this is a serious matter for ordinary Londoners. Out-dated two-party system or not, Labour Party members, ex-members, sympathisers & Co. should resist the tempation of the long-haired (carefully and invitingly draped over one shoulder in her photos…) temptress and vote politically for all our sakes. The asteroid isn’t coming just yet, and I want the smirking Johnson out of the job he clearly has no intrinsic interest in and certainly doesn’t merit. Only voting for Ken can achieve that. Brian writes: Thank you for this, Bob, and profound apologies for the delay in putting it up on the blog. 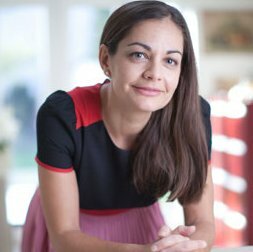 You take a perfectly defensible and plausible view of Siobhan Benita’s candidature, and you (and for example Simon Jenkins) are doubtless right that Ms Benita would not be attracting anything like the media attention she’s getting (and the votes that will result from it) if she were a man, or even a less attractive woman. On the other hand, I don’t think she can be accused of trading on any of this, and it’s hardly her fault. Her manifesto is innocuous, short on detail, vaguely progressive. She’s clearly very bright and has an impressive CV listing a succession of demanding jobs. I doubt whether she could cope as mayor without a party machine to support her, but that’s an academic question as she has no chance of winning. However, as I have said in my blog post, there’s not the slightest harm in giving her one’s first preference, to encourage her to continue her political career, so long as the second preference goes to Ken Livingstone. The important point, whatever you think of Ms Benita, is that failure to give at least a second preference to Livingstone, whatever you think of him, is bound to increase the probability of a famous victory in London for the candidate of the party which is leading the most reactionary and class-based government in living memory, which is throttling the economy at a time of crisis in order to promote the financial interests of its rich donors, which is systematically destroying the welfare state — the NHS, state education, benefits for the most vulnerable — that was sustained by all serious political parties under a national consensus throughout the post-war period until Thatcher undermined it, which has ham-fistedly alienated all our natural allies and friends in Europe, and every one of whose extreme right-wing policies and actions has been vocally supported by Mr Boris Johnson; and if Johnson wins London despite his membership of a deeply unpopular Conservative party leading an equally unpopular and catastrophic government, he will be well placed to make a bid for the Tory leadership, and thence for No. 10 Downing Street. Those who are too fastidious to bring themselves to cast even a second preference for Livingstone need to be reminded that the inescapable consequence of their fastidiousness is to make that nightmare likelier to come true, and meanwhile to boost the standing and confidence of a failing and discredited government. I think you will probably agree with most of that, Bob. It’s sad that it’s so difficult to persuade so many other fundamentally decent, liberal-minded people of these really quite elementary truths. Siobhan is really just a relatively harmless distraction. Previous story Antisocial behaviour as Labour’s main priority? Blairism lives!